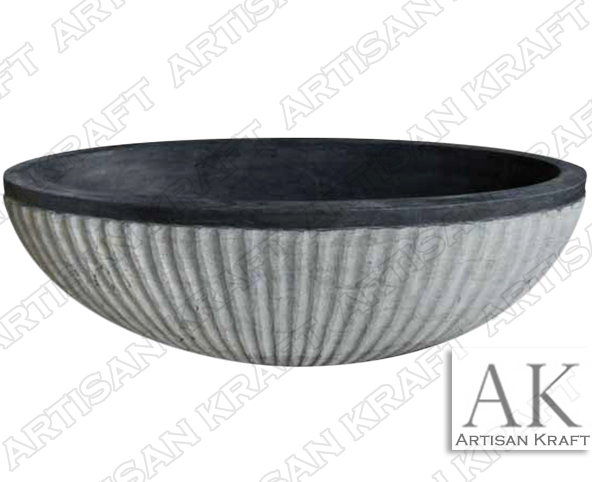 This blue stone tub is made in an oval shape. Call today about our stone bathtubs. We have an office in Los Angeles and a showroom with a bathtub display in Chicago.